For the parable, see Parable of the Good Samaritan. For other uses, see Samaritan. Kiryat Luza, joint Israeli and Palestinian control. The Samaritans (Samaritan Hebrew: שוֹ‏מְרִים Samerim "Guardians/Keepers/Watchers [of the Law/Torah]", Jewish Hebrew: שומרונים‎ Shomronim, Arabic: السامريون‎ Sāmeriyyūn) are an ethnoreligious group of the Levant, descended from ancient Semitic inhabitants of the region. 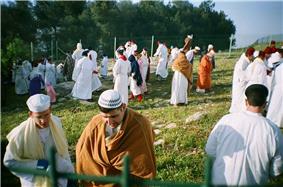 The Samaritans are adherents of Samaritanism, an Abrahamic religion closely related to Judaism. Based on the Samaritan Pentateuch, Samaritans say that their worship is the true religion of the ancient Israelites prior to the Babylonian Exile, preserved by those who remained in the Land of Israel, as opposed to Judaism, which they say is a related but altered and amended religion, brought back by those returning from the Babylonian exile. Ancestrally, Samaritans claim descent from the Israelite tribes of Ephraim and Manasseh (the two sons of Joseph (son of Jacob)) as well as from the priestly tribe of Levi, who have links to ancient Samaria from the period of their entry into the land of Canaan, while some suggest that it was from the beginning of the Babylonian Exile up to the Samaritan polity of Baba Rabba. Samaritans used to include a line of Benjamin tribe, but it went extinct during the decline period of the Samaritan demographics. The split between them and their brothers; the children of Judah (the Jews) began during the time of Eli the priest, and the culmination was during the Kingdom of Israel and Kingdom of Judah when the Samaritans (then Kingdom of Israel) refused to accept Jerusalem as the elect, and remained on Mount Gerizim. The Samaritans say that Mount Gerizim was the original Holy Place of Israel from the time that Joshua conquered Israel. The major issue between Jews and Samaritans has always been the location of the chosen place to worship God; Jerusalem according to the Jewish faith or Mount Gerizim according to the Samaritan version. 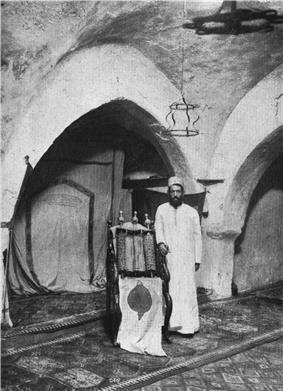 In the Talmud, a central post-exilic religious text of Judaism, the Samaritans are called Cutheans (Hebrew: כותים‎, Kutim), referring to the ancient city of Kutha, geographically located in what is today Iraq. In the biblical account, however, Cuthah was one of several cities from which people were brought to Samaria, and they worshiped Nergal. Modern genetics suggests some truth to both the claims of the Samaritans and the account in the Talmud. As of January 1, 2012, the population was 751, divided between Kiryat Luza on Mount Gerizim and the city of Holon, just outside Tel Aviv. Most Samaritans in Israel and the West Bank today speak Hebrew and Arabic . 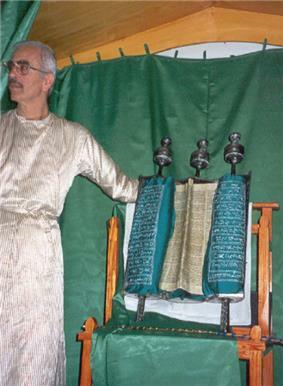 For liturgical purposes, Samaritan Hebrew, Samaritan Aramaic, and Samaritan Arabic are used, all written in the Samaritan alphabet, a variant of the Old Hebrew alphabet, which is distinct from the Hebrew alphabet. Hebrew and later Aramaic were languages in use by the Jewish and Samaritan inhabitants of Judea prior to the Roman exile. Although they are drafted into the Israel Defense Forces, the Israeli Rabbinate requires Samaritans to officially go through formal Conversion to Judaism in order to be recognized as Halakhic Jews. One example is Israeli TV personality Sofi Tsedaka, who formally converted to Judaism at the age of 18. In Samaritan Hebrew the Samaritans call themselves "Samerim", which according to the Anchor Bible Dictionary, is derived from the Ancient Hebrew term Šamerim/Samerim שַמֶרִים, meaning "Guardians/Keepers/Watchers [of the Law/Torah]". Thus, it may suggest Samaria is named after the Samaritans, rather than the Samaritans being named after Samaria. In Jewish tradition, Mount Samaria, meaning "Watch Mountain", is named so because watchers used to watch from those mountains for approaching armies from Egypt from ancient times. 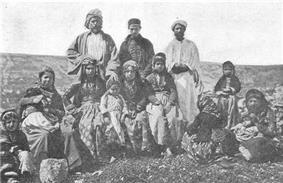 Historically, Samaria was the key geographical concentration of the Samaritan community. In Jewish Hebrew however, the Samaritans are called Shomronim, which would appear to simply mean "Samarians" ("inhabitants of Samaria", Samaria in Jewish Hebrew being Shomron). The Ancient Hebrew Šamerim/Samerim (Samerin سامرين in Arabic which have the same meaning), which in the Bible means Guardians (singular Šameri/Sameri) comes from the Hebrew root verb S-M-R שמר which means: "to watch", or "to guard". 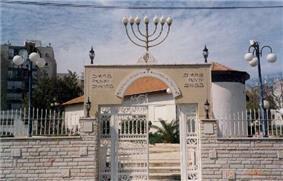 That the etymology of the Samaritans' ethnonym in Samaritan Hebrew is derived from "Guardians/Keepers/Watchers [of the Law/Torah]" (to protect it from alteration against the Talmudic Rabbinic school), as opposed to Samaritans being named after the region of Samaria, is supported by Christian Church fathers Epiphanius of Salamis in Panarion, Jerome and Eusibius in Chronicon and Origen in The Commentary of Origen on S. John's Gospel, and in some Ancient Jewish Talmudic Bible Interpretations of Midrash Tanhuma on Genesis chapter 31, and Pirke De-Rabbi Eliezer chapter 38 Page 21. Samaritans claim they are Israelite descendants of the Northern Israelite tribes of Ephraim and Manasseh, who survived the destruction of the Northern Kingdom of Israel by the Assyrians in 722 BC. A terrible civil war broke out between Eli son of Yafni, of the line of Ithamar, and the sons of Pincus (Phinehas), because Eli son of Yafni resolved to usurp the High Priesthood from the descendants of Pincus. He used to offer sacrifices on an altar of stones. He was 50 years old, endowed with wealth and in charge of the treasury of the children of Israel... He offered a sacrifice on the altar, but without salt, as if he were inattentive. When the Great High Priest Ozzi learned of this, and found the sacrifice was not accepted, he thoroughly disowned him; and it is (even) said that he rebuked him. Thereupon he and the group that sympathized with him, rose in revolt and at once he and his followers and his beasts set off for Shiloh. Thus Israel split in factions. He sent to their leaders saying to them, Anyone who would like to see wonderful things, let him come to me. Then he assembled a large group around him in Shiloh, and built a Temple for himself there; he constructed a place like the Temple (on Mount Gerizim). He built an altar, omitting no detail—it all corresponded to the original, piece by piece. At this time the Children of Israel split into three factions. A loyal faction on Mount Gerizim; a heretical faction that followed false gods; and the faction that followed Eli son of Yafni on Shiloh. The narratives in Genesis about the rivalries among the twelve sons of Jacob describe tensions between north and south. They were temporarily united in the United Monarchy, but after the death of Solomon the kingdom split in two, the Kingdom of Israel with its capital Samaria and the Kingdom of Judea with its capital Jerusalem. The Deuteronomistic history, written in Judah, portrayed Israel as a sinful kingdom, divinely punished for its idolatry and iniquity by being destroyed by the Assyrians in 720 BC. According to 2 Chronicles 36:22–23, the Persian emperor, Cyrus the Great (reigned 559 BC – 530 BC), permitted the return of the exiles to their homeland and ordered the rebuilding of the Temple in Jerusalem (Zion). The prophet Isaiah identified Cyrus as "the Lord's Messiah" (Mashiach; see Isaiah 45:1). The word "Messiah" refers to an anointed one, such as a king or priest. In the 2nd century BC a series of events led to a revolution of some Judeans against Antiochus IV. Antiochus IV Epiphanes was on the throne of the Seleucid Empire from 175 to 163 BC. His policy was to Hellenize his entire kingdom and standardize religious observance. According to 1 Maccabees 1:41-50 he proclaimed himself the incarnation of the Greek god Zeus and mandated death to anyone who refused to worship him. During the Hellenistic period, Samaria was largely divided between a Hellenizing faction based in Samaria (Sebastaea) and a pious faction, led by the High Priest and based largely around Shechem and the rural areas. Samaria was a largely autonomous state nominally dependent on the Seleucid Empire until around 129 BC, when the Jewish Hasmonean king Yohanan Girhan (John Hyrcanus) destroyed the Samaritan temple and devastated Samaria. Samaritans appear briefly in the Christian gospels, most notably in the account of the Samaritan woman at the well and the parable of the Good Samaritan. In the latter it is only the Samaritan who helped the robbed man, left on the road half dead. The priest and Levite walking past. The Samaritan helped a man who may, or may not have been, a Jew. There were some Samaritans in the Persian Empire, where they served in the Sassanid army. The 2004 article on the genetic ancestry of the Samaritans by Shen et al. concluded from a sample comparing Samaritans to several Jewish populations, all currently living in Israel—representing Ethiopian Jews, Ashkenazi Jews, Iraqi Jews, Libyan Jews, Moroccan Jews, and Yemenite Jews, as well as Israeli Druze and Palestinian Arabs—that "the principal components analysis suggested a common ancestry of Samaritan and Jewish patrilineages. Most of the former may be traced back to a common ancestor in what is today identified as the paternally inherited Israelite high priesthood (Cohanim) with a common ancestor projected to the time of the Assyrian conquest of the kingdom of Israel." Samaritan communities tend to be more politically aligned with Israel, regardless of whether they live in Jewish-majority or Arab-majority areas. However, Al-Kahen Wasef al-Samery, a Samaritan leader, declared in 1960 that Israel is an enemy for them as it is an enemy for the Arabs. The Samaritans in Nablus often try to show the differences between them and the Jews, more so than those who live in Holon. Samaritans have stated that the military authorities do not treat them as a minority. On the contrary, they felt that they were treated like West Bank Arabs. Prior to 1948, the Samaritans were divided politically into two factions. The first was led by Sadaqa al-Kahen, who supported the Palestinian Arab leader Mohammad Amin al-Husayni, while the second faction was led by Wasef al-kahen, who supported another Palestinian Arab leader, Raghib al-Nashashibi. One of the biggest problems facing the community today is the issue of continuity. With such a small population, divided into only four families (Cohen, Tsedakah, Danfi and Marhib) (a fifth family died out in the second-last centuryWhich century? See this discussion and a general refusal to accept converts, there has been a history of genetic disease within the group due to the small gene pool. To counter this, the Samaritan community has recently agreed that men from the community may marry non-Samaritan (primarily, Israeli Jewish) women, provided that the women agree to follow Samaritan religious practices. There is a six-month trial period prior to officially joining the Samaritan community to see whether this is a commitment that the woman would like to take. This often poses a problem for the women, who are typically less than eager to adopt the strict interpretation of biblical (Levitical) laws regarding menstruation, by which they must live in a separate dwelling during their periods and after childbirth. There have been a few instances of intermarriage. In addition, all marriages within the Samaritan community are first approved by a geneticist at Tel HaShomer Hospital, in order to prevent the spread of genetic disease. In meetings arranged by "international marriage agencies", a small number of Ukrainian women have recently been allowed to marry into the community in an effort to expand the gene pool. The Israeli Ministry of Interior has refused to officially recognize inter-marriages between Jews and Samaritans. The Talmudic attitude expressed in tractate Kutim is that they are to be treated as Jews in matters where their practice coincides with the mainstream but as non-Jews where their practice differs. 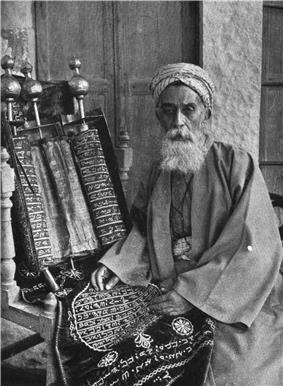 Since the 19th century, rabbinic Judaism has regarded the Samaritans as a Jewish sect and the term "Samaritan Jews" has been used for them. ^ a b c d e f The Samaritan Update Retrieved 8 January 2013. ^ a b "Joshua, The Samaritan Book Of:". JewishEncyclopedia.com. Retrieved 2010-02-25. ^ Yitzhak Magen,'The Dating of the First Phase of the Samaritan Temple on Mt Gerizim in Light of Archaeological Evidence,' in Oded Lipschitz, Gary N. Knoppers, Rainer Albertz (eds.) Judah and the Judeans in the Fourth Century B.C.E., Eisenbrauns, 2007 pp.157ff.p.177 n.13. ^ a b c Reconstruction of Patrilineages and Matrilineages of Samaritans and Other Israeli Populations From Y-Chromosome and Mitochondrial DNA Sequence Variation PDF (855 KB), Hum Mutat 24:248–260, 2004. ^ a b Friedman, Matti (2007-03-18). "Israeli sings for her estranged people". ^ a b c Dana Rosenblatt (October 14, 2002). "Amid conflict, Samaritans keep unique identity". ^ Angel Sáenz-Badillos ; translated by John Elwolde. (1993). A History of the Hebrew Language. Cambridge, England: Cambridge University Press. ^ Reinhard Pummer (2002). Early Christian Authors on Samaritans and Samaritanism: Texts, Translations and Commentary. Mohr Siebeck. pp. 123,42,156. ^ R. J. Coggins (1975). Samaritans and Jews: the origins of Samaritanism reconsidered. Westminster John Knox Press. ^ Saint Epiphanius (Bishop of Constantia in Cyprus) (1 January 1987). The Panarion of Ephiphanius of Salamis: Book I (sects 1-46). BRILL. p. 30. ^ Grunbaum, M.; Geiger, Rapoport (1862). "mitgetheilten ausfsatze uber die samaritaner". Zeitschrift der Deutschen Morgenländischen Gesellschaft: ZDMG 16. Harrassowitz. pp. 389–416. ^ Yitzakh Magen, 'The Dating of the First Phase of the Samaritan Temple on Mt Gerizim in Light of Archaeological Evidence,' in Oded Lipschitz, Gary N. Knoppers, Rainer Albertz (eds.) Judah and the Judeans in the Fourth Century B.C.E., Eisenbrauns, 2007 pp.157-212. p.187. ^ Magnar Kartveit (2009). The Origin of the Samaritans. BRILL. pp. 168–171. Retrieved 30 January 2014. ^ Yitzhak Magen, ''The Dating of the First Phase of the Samaritan Temple on Mount Gerizim in the Light of the Archaeological Evidence'' (in Oded Lipschitz, Gary N. Knoppers, Rainer Albertz, eds, "Judah and Judeans in the Fourth Century BC", Eisenbrauns, 2007). Books.google.com.au. Retrieved 2011-12-05. ^ L. Michael White (1987). 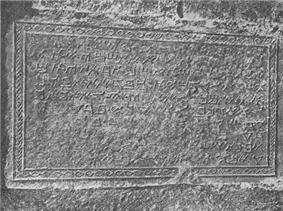 "The Delos Synagogue Revisited Recent Fieldwork in the Graeco-Roman Diaspora". Harvard Theological Review 80: 133–160. ^ Lidia Matassa (2007). "Unravelling the Myth of the Synagogue on Delos". Bulletin of the Anglo-Israel Archaeological Society 25: 81–115. ^ Shen, P; Lavi T; Kivisild T; Chou V; Sengun D; Gefel D; Shpirer I; Woolf E, Hillel J, Feldman MW, Oefner PJ (2004). "Reconstruction of Patrilineages and Matrilineages of Samaritans and Other Israeli Populations From Y-Chromosome and Mitochondrial DNA Sequence Variation" (PDF). Human Mutation 24 (3): 248–260. ^ Cruciani, F.; La Fratta, R.; Torroni, A.; Underhill, P. A.; Scozzari, R. (April 2006). "Molecular Dissection of the Y Chromosome Haplogroup E-M78 (E3b1a): A Posteriori Evaluation of a Microsatellite-Network-Based Approach Through Six New Biallelic Markers". Human Mutation 27 (8): 831–2. ^ "HUMAN RIGHTS COUNCIL Tenth session Agenda item 3 PROMOTION AND PROTECTION OF ALL HUMAN RIGHTS, CIVIL, POLITICAL, ECONOMIC, SOCIAL AND CULTURAL RIGHTS, INCLUDING THE RIGHT TO DEVELOPMENT Report of the Special Rapporteur on freedom of religion or belief, Asma Jahangir Addendum MISSION TO ISRAEL AND THE OCCUPIED PALESTINIAN TERRITORY". http://www.arabhumanrights.org. 2011-03-17. Retrieved 2011-05-07. ^ Ferguson, Jane (8 January 2013). 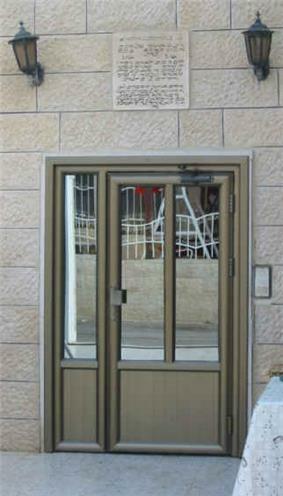 "West Bank Samaritans fight extinction". Purvis, James D. (1968). The Samaritan Pentateuch and the Origin of the Samaritan Sect. Harvard Semitic Monographs 2. Cambridge, Mass. : Harvard University Press. Pummer, Reinhard (1987). The Samaritans. Leiden: E. J. Brill. Hjelm, Ingrid (2000). Samaritans and Early Judaism: A Literary Analysis. Journal for the Study of the Old Testament. Supplement Series, 303. Sheffield Academic Press. Crown, Alan David (2005) . A Bibliography of the Samaritans: Revised Expanded and Annotated (3rd ed.). Scarecrow Press. 2 Maronites and Syriac Christians are eligible to be registered as "Arameans" since October 2014.